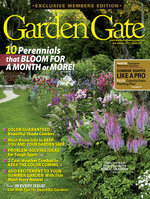 Learn the simple and inexpensive process of direct-sowing seeds into your garden. 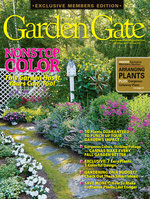 All those pretty flowers at the nursery can get pricey. 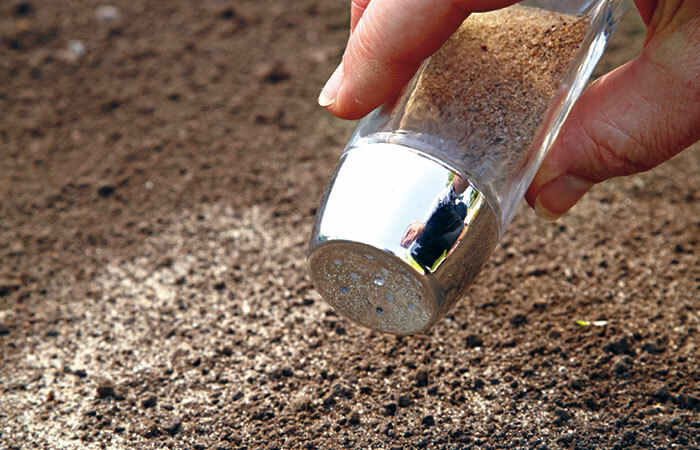 The simplest way to get the most bang for your buck is to direct-sow seeds into your garden. Let me show you some tips I’ve learned over the years. Try to match weather conditions with your seeds’ preferences so they don’t languish in the garden — the sooner seeds germinate, the less likely they are to rot in the ground. Check out the information below to help choose the right time to plant. What’s the best day to direct-sow seeds? Your prepared bed has been rained on (or watered) so the soil is moist and the seeds can absorb water. It’s overcast so the sun doesn’t dry the soil too quickly. Air temperatures in the next week will only vary 10 to 18 degrees. This makes it easier on emerging seedlings. Mild temperatures are predicted. Most seeds germinate best at 64 to 72 degrees F. If it’s too cold and wet, the seeds might rot; if it’s too hot, the soil can dry out. There aren’t any big storms predicted in the next week. Heavy rain washes out seeds and smashes tender seedlings. While you might want to just dig a little hole and pop a seed in, it’s best to prepare the whole bed. Plant roots grow vigorously where the soil is loose — if they hit a wall of hard, untilled soil, they’ll turn away and start circling as they would in a pot. So remove any mulch on the surface and dig down 6 to 8 inches, breaking up clods that seedling roots won’t be able to penetrate. See how loose the soil above looks? If you can, mix in a couple inches of compost to improve soil aeration and add nutrients. Avoid working when the bed is wet — this will just make more clumps. 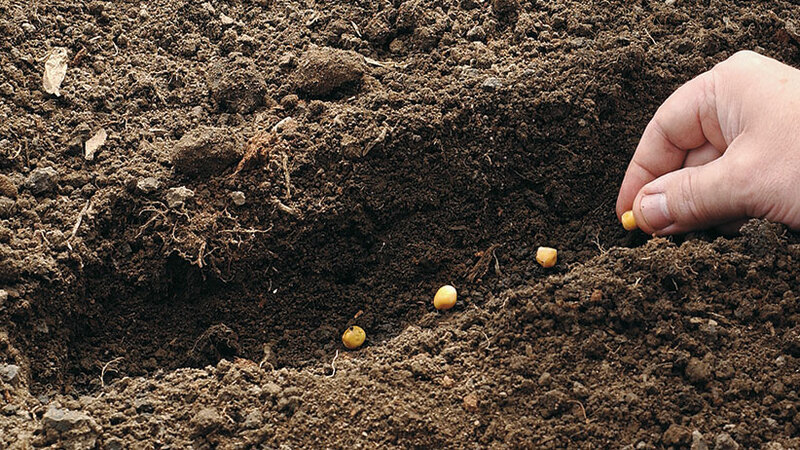 Soil should crumble when you squeeze a handful — if it stays in a ball shape, it’s too wet. 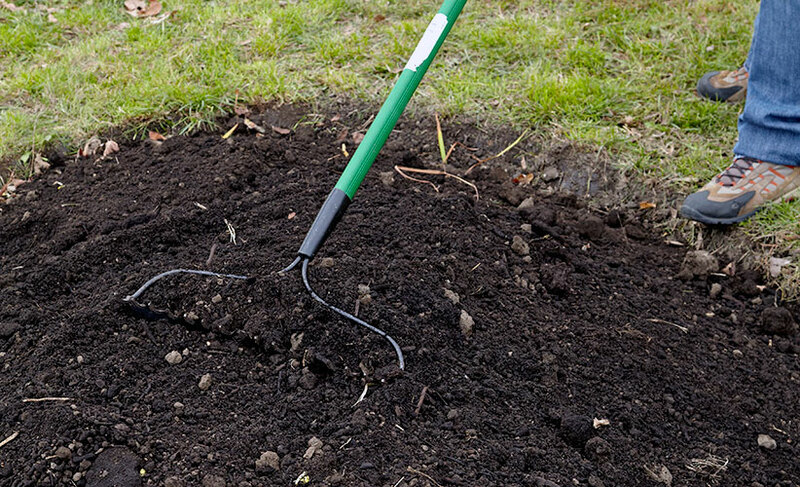 Rake the bed smooth before you plant. Now your bed is prepared and you’re ready to plant. If you have really small seeds, such as the moss rose in the photo above, mix them with sand in a salt shaker so you can see if you’re sowing them evenly. Read your seeds’ package to see whether they need light to germinate. If so, just pat them in after sprinkling. If they need to be covered, spread soil from your prepared bed lightly over the top. Never use potting mix to cover the seeds — it can wick moisture away from seedlings. Whether you line seeds up in formal rows or broadcast in a drift, space them a little closer than you would starters from a pack. After seedlings have developed true leaves, you can always thin and share extras with a friend. Make sure the seed bed is evenly moist before and after germination. Not watering can delay germination for a week or more. Use the mist setting on your watering wand so you don’t wash the seeds away or you might end up with clusters of plants and bare spots. Fortunately, even if that happens, it can be remedied. 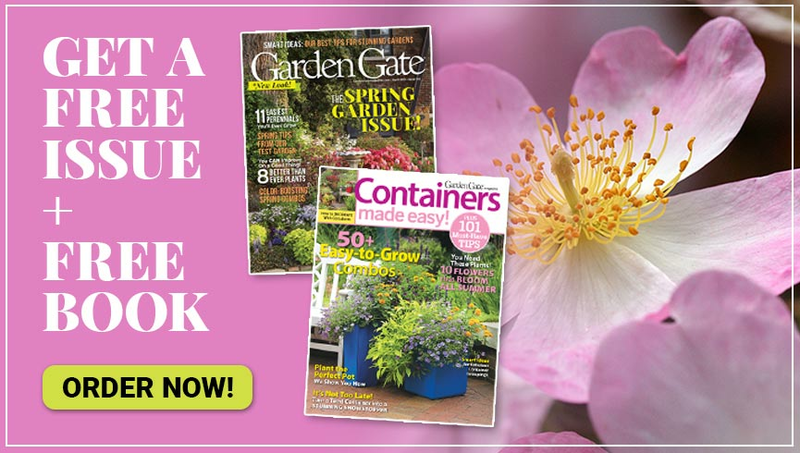 Find out how to transplant seedlings in the garden for a fuller garden bed. Continue to mist until the tiny plants have a couple sets of leaves, usually in two or three weeks. Then you can start using heavier flow settings. Your little seeds are growing into beautiful sprouts. The next trick is to keep them looking good. A couple weeks after germination, start feeding with a water-soluble fertilizer, such as a 10-10-10, once a week. Later, when the plants reach blooming size, switch to a high-phosphorus fertilizer, such as 15-30-15, that will encourage flowering. While they’re tiny, keep seedlings moist. 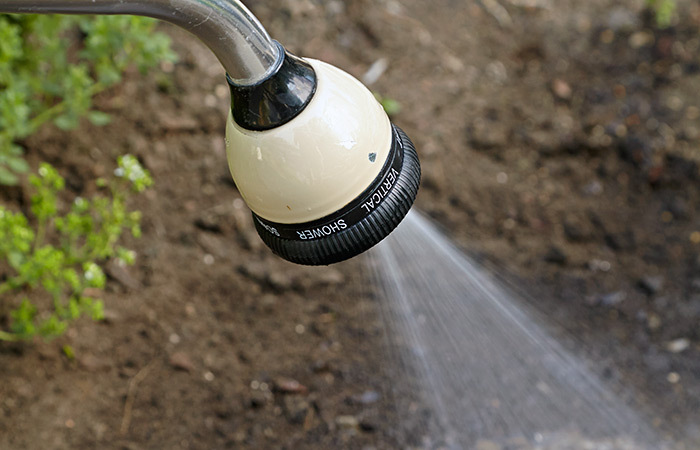 Once the seedlings have several sets of leaves, you can back off the watering. But if you don't get an inch of rain a week or it gets hot and they look stressed, be sure to get out there with a watering can. A light layer of mulch at this time can help conserve moisture. 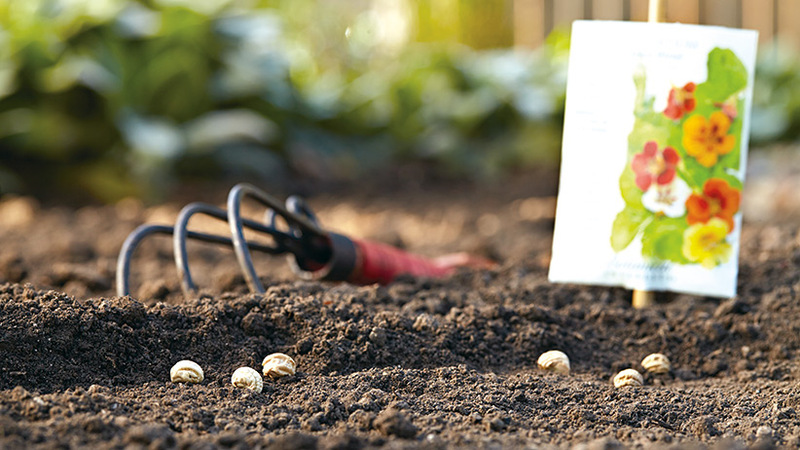 Direct-sowing seeds is a great way to get a lot of impact with a little money. Give it a try!